Our car wore all-season tires when it came into our life, which are fine for those who might face winter conditions. Living in Florida, that's not a big concern for us so we did some shopping. The process actually started during our visit to The Tire Rack, and we discussed our wishes with John Rastetter. We had some specific desires this time: really strong performance yet period-correct looks. Call us nerds, but we didn't feel that the latest hyper-exotic tread would look right next to that classic 45-year-old shape. We also wanted tires that would well on the rear-engine chassis. John understood our needs, and we went back and forth with a few options. 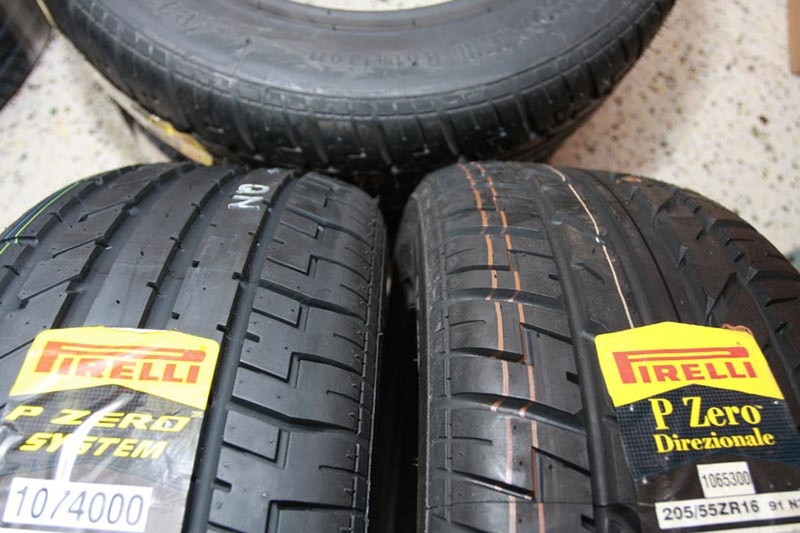 Our final selection should do it all: Pirelli's PZero System. The PZero System features two different tires, the PZero Asimmetrico (asymmetrical) and PZero Direzionale (directional). Their UTQG data looks sporty: 140 treadwear plus A treadwear and traction ratings. Depending on the exact application, Pirelli specs one model for each end of the car or one model at all four corners. 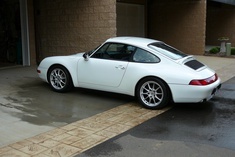 For our 911, they spec the 205/55ZR16 Direzionales up front and 225/50ZR16 Asimmetricos out back. These tires also carry Porsche's N-specification seal of approval, meaning they have been certified for use on the unorthodox chassis. The Tire Rack stocks these tires. The fronts retail for $138 each while the rears go for $182 apiece. We'll have the tires mounted soon and let you know how they work. I picked up a set of PZero's for my E36 M3 and while they are nice and sticky, I'll be lucky to get 5,000 miles out of them. Hopefully you'll have better luck!